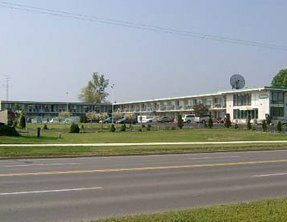 The Arkona Motel is located directly beside the Americana Conference Cetre & Spa Hotel, which is only a short drive from the Horseshoe Falls and all the attractions in the Surrounding. This location is ideal because it is away from all the excitement of the Niagara Parks and Clifton Hill. With both smoking and non-smoking rooms available on all room types, this makes the Arkona Hotel the perfect stay for any type of customer.